You feel like your schedule is pushing your around. The time you need to get it all done and really enjoy your loved ones seems to allude you. You find yourself spending your time on what everyone else wants you to. At times you feel like you will drown under the pressure. You are giving so much and feel like you don’t have the energy for all that you need to do… You would love a life where you feel energized for your day and where you feel like your time is spent exactly where you want it to be. Multiply Your Time and Energy was born out of my own struggle to have my time align with my priorities and rather than being about what others wanted of me. 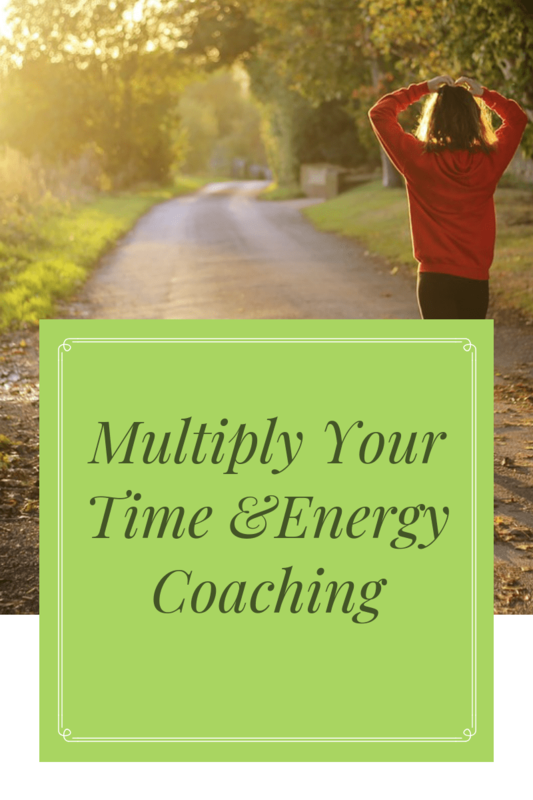 The program targets those areas where you feel drained and works through your day-to-day schedule to a new way of looking at and arranging your time. Then your time is spent in a way that gets your responsibilities accomplished and meshes with your values. It is possible to get to the end of your day feeling a sense of peace and accomplishment in how you spent your time.